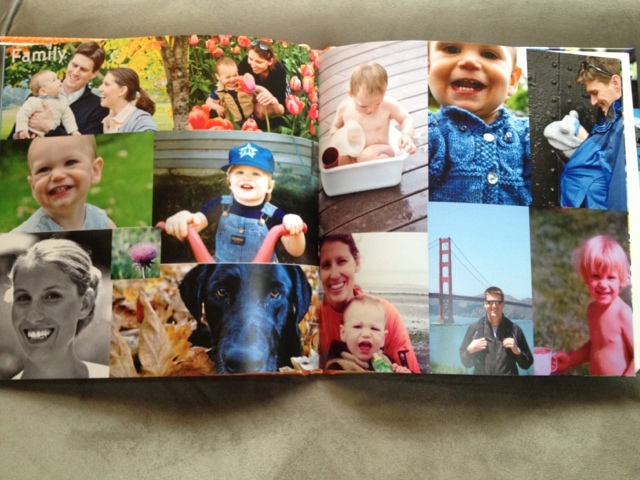 Shutterfly recently sent me a coupon for a free photobook. All you have to pay is tax and shipping. Muchas gracias, shutterfly. We love these books. Especially if they’re free(ish). 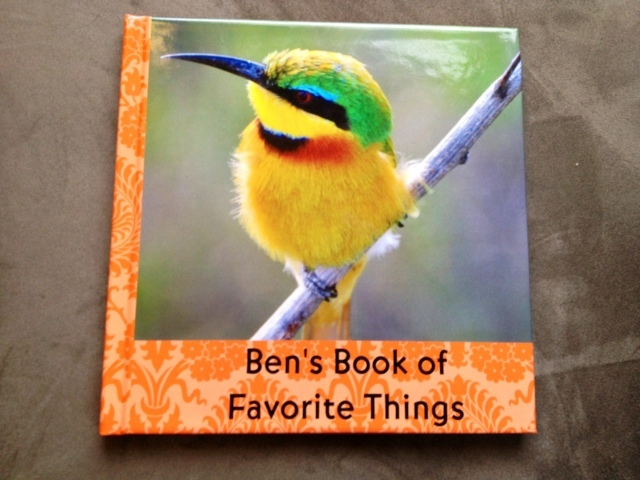 Basically I went through our photo archives and picked out his favorite animals. Peeps, we take a lot of pictures, particularly of animals, so narrowing it down to the final ‘winners’ was the hardest part. And you wonder why we spend so much money on computer storage capabilities. 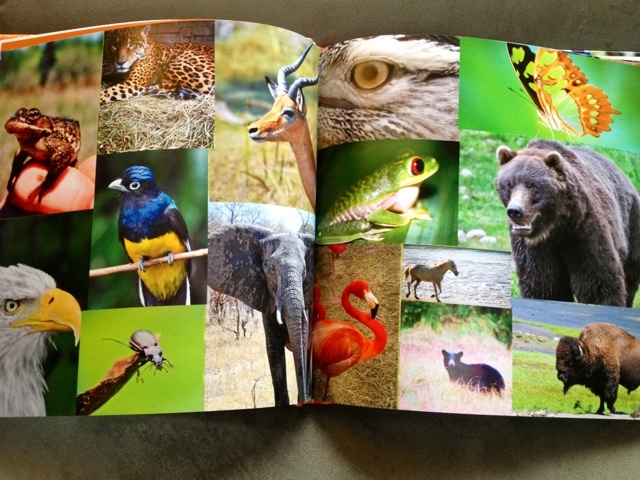 That elephant is from our trip to Botswana, the buffalo from Ben’s first vacation (in Yellowstone), Jake (the brown bear at the Alaska Zoo), the green frog picture is from Costa Rica (and one of the few pictures in this book that aren’t mine - oops. As is that green butterfly picture - my dad won a photo contest at Boeing with that submission - it’s from our trip with the padres to Mexico in 2010). 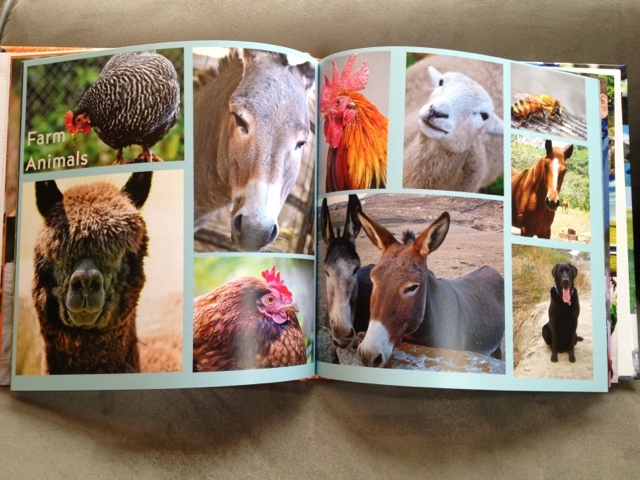 No book would be complete without pictures of Bailey, the bees, or the chickens. Ben is really in his prime when it comes to animal sounds. Our only stumper: what does a lama sound like?! On a side note, if you ever need a good laugh, ask Chris what sound a moose makes. He’s been keeping us entertained for weeks with his rendition. 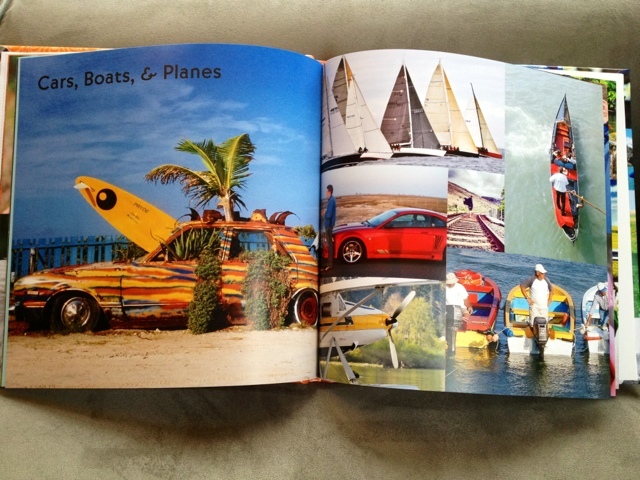 Pictures, clockwise: My dad took that picture of the surfboard car in Bonaire way back in 2000(ish). Completely unedited. Probably one of my very most favorite pictures. The sail boat picture is from when we went to watch Eric sail in the Swiftsure Race in Victoria BC (2010), the gondola guy is from Venice (2003), the three dudes in the dinghies (Portugal 2003), Kenmore Air Seaplane (2012 trip to the San Juans), and that picture of Chris next to the red car is back when we took the Saleen up to Buttonwillow in California for a little racing (2006). Fun times with transportation. Or as Ben says: Mama! Dada! 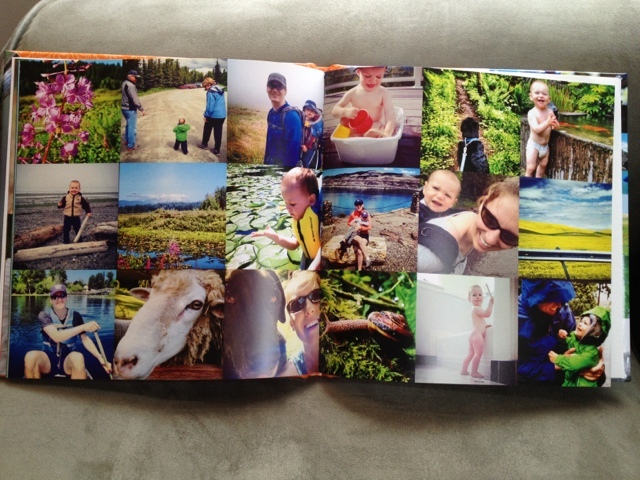 Shutterfly has a few square formats that are just begging for instagram collages. 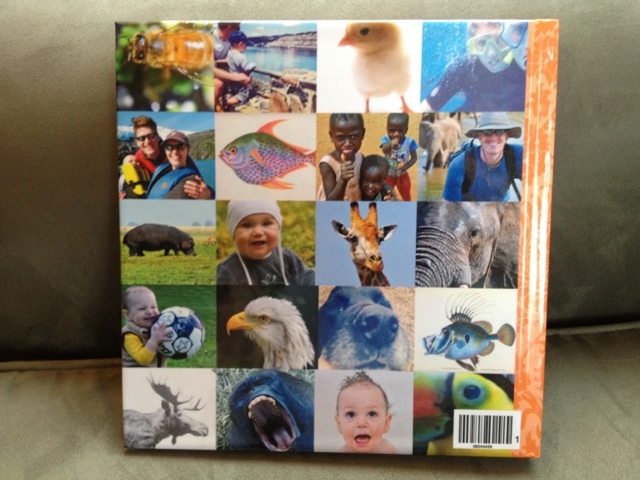 And, you can customize the back of the book too. Thus, we went instagram crazy. What a great idea. You are so creative!